WENDY CHESTNUT/Sun-Gazette Correspondent Improving friendships, increasing physical activity and communing with God each week is the goal of the participants of Walk by Faith including, from left, Ileen Meggison, Lilburn, Ga.; Linda Womeldorf, Bellefonte; Fran Decker, Lock Haven; and Mary Raab, Avis. The group meets at five different paths including Riverview Park shown at left. LOCK HAVEN — Listening to the hum of the river, and enjoying the green of summer seen on a dragonfly’s buzzing wings and above in the dancing leaves and below in the lush grass God’s beauty surrounds a group of women walking at Riverview Park in Lock Haven. “For where two or three are gathered in my name, there am I among them,” Matthew 18:20. United by faith and dedicated to health, a group of men and women gather in Clinton County weekly to exercise mind and body. 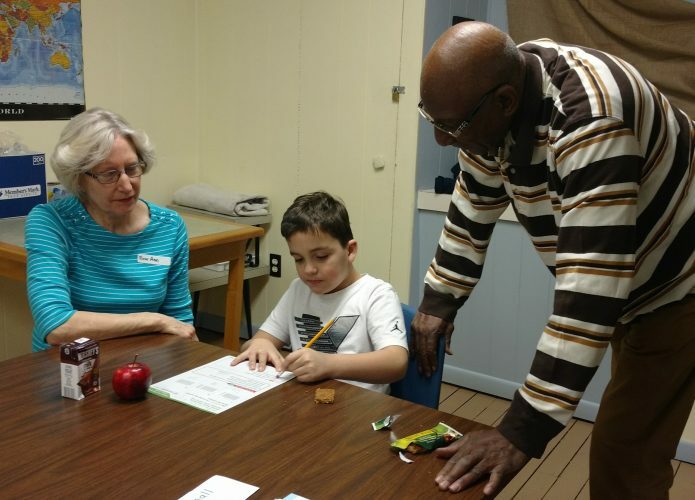 Walk by Faith is a pilot program developed by the Hershey Medical Center that is being tested in rural communities by the Clinton County Cooperative Extension office, according to Laurie Welch, extension educator. Last year the program was implemented and participants kept track of the miles they walked and an education program with a cooking demonstration was held each month. This year Covenant Church is continuing the program but not formally with the extension office. Welch said it hasn’t been determined how the extension office will continue the program in the future. Nineteen people registered for the event this year, although 10 is the highest number of people who have walked together on a given night, according to Decker. 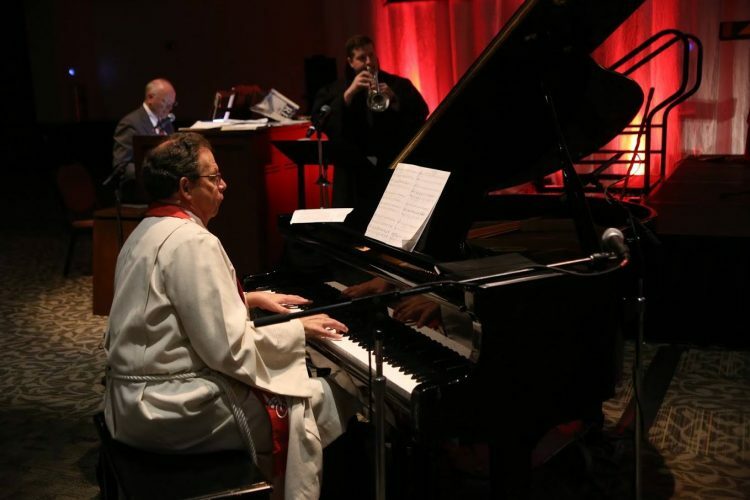 About half of the people registered are members of Covenant United Methodist Church and others are members of local churches who saw the ad in the newspaper or the event listed in the Clinton County tourism calendar, Decker said. The 24-week program begins the end of May and will end a week before Halloween. After walking for an hour at the park the group gathers at Covenant Church to hear Welch speak on physical activity and walking with a powerpoint presentation. “Our goal is to increase physical fitness, and walking with other people provides motivation,” Welch said. The presentation included how much exercise is needed weekly; what is exercise; overcoming barriers and why exercise is healthy. “You should start slow and build up,” Welch explained. “With moderate exercise you should still be able to carry a conversation.” The extension office provided pedometers to help everyone personally improve and be their physical best. Though Welch explained there are lots of varieties to tracking fitness, including Fitbits and smart phone apps. Meggison reached 10,000 steps on her Fitbit band during the walk, receiving a round of cheers from her friends. The many benefits of walking include raising metabolism, improving mental health and mood, strengthening heart muscles, sleeping better and reducing the risk of cardiovascular disease, type 2 diabetes and some cancers, according to Welch. 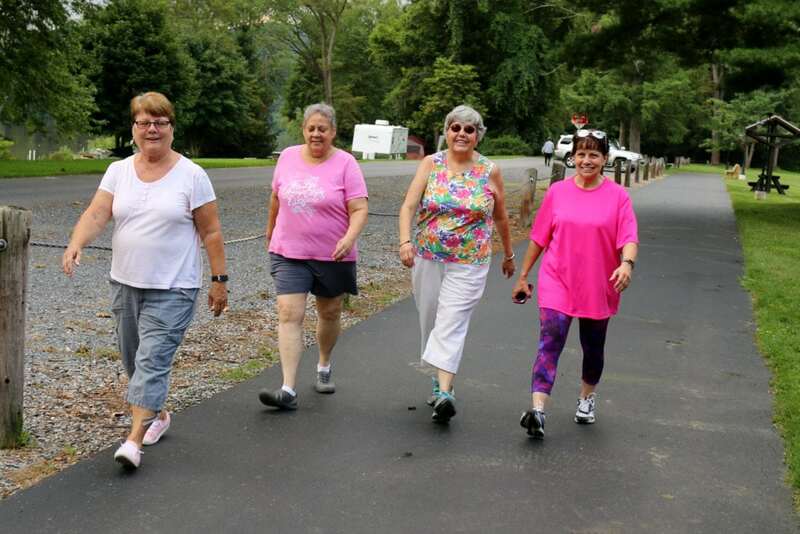 Walk by Faith will next meet at the Rails to Trails in Jersey Shore Wednesday.